SAVE on this 2019 Yaris Sedan LE! MSRP $18,480. Discount is provided by Vanderstyne Toyota. Be sure to take advantage of the Vanderstyne Sale Price, which runs from 4/2/19 - 4/30/19. SAVE on this 2020 Corolla LE! MSRP $21,333. Discount is provided by Vanderstyne Toyota. Be sure to take advantage of the Vanderstyne Sale Price, which runs from 4/2/19 - 4/30/19. SAVE on this 2019 Corolla SE! MSRP $22,018. 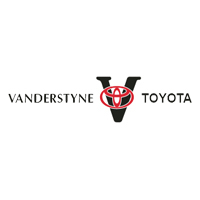 Discount is provided by Vanderstyne Toyota. Be sure to take advantage of the Vanderstyne Sale Price, which runs from 4/2/19 - 4/30/19. SAVE on this 2019 Corolla SE! MSRP $22,028. Discount is provided by Vanderstyne Toyota. Be sure to take advantage of the Vanderstyne Sale Price, which runs from 4/2/19 - 4/30/19. SAVE on this 2019 Corolla SE! MSRP $23,553. Discount is provided by Vanderstyne Toyota. Be sure to take advantage of the Vanderstyne Sale Price, which runs from 4/2/19 - 4/30/19. SAVE on this 2020 Corolla SE! MSRP $23,333. Discount is provided by Vanderstyne Toyota. Be sure to take advantage of the Vanderstyne Sale Price, which runs from 4/2/19 - 4/30/19. SAVE on this 2019 Corolla Hatchback SE! MSRP $23,649. Discount is provided by Vanderstyne Toyota. Be sure to take advantage of the Vanderstyne Sale Price, which runs from 4/2/19 - 4/30/19. SAVE on this 2019 Corolla Hatchback SE! MSRP $23,992. Discount is provided by Vanderstyne Toyota. Be sure to take advantage of the Vanderstyne Sale Price, which runs from 4/2/19 - 4/30/19. SAVE on this 2019 Corolla Hatchback SE! MSRP $24,123. Discount is provided by Vanderstyne Toyota. Be sure to take advantage of the Vanderstyne Sale Price, which runs from 4/2/19 - 4/30/19. New vehicle pricing includes all offers and incentives. Tax, Title Tags and documentation fee ($75) not included in vehicle prices shown and must be paid by the purchaser. While great effort is made to ensure the accuracy of the information on this site, errors do occur so please verify information with a customer service rep. This is easily done by calling us at (585) 225-6600 or by visiting us at the dealership.